Large shrub 15-20' x 8-12' with red flush in winter-spring. Great screen or hedge plant for well drained soils in full sun. Excellent foliage for cut flowers. 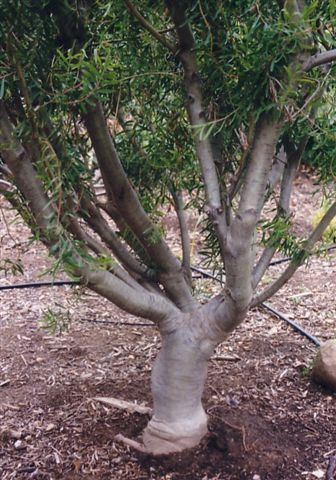 Frost tolerant (22F) and drought resistant shrub once established.